After two sensational buzzer beaters in game 3, game 4 looked to top it with action on Mother's Day and Monday. There was another buzzer-beater in store, as 3 out of the 4 series were tied by the end of it. Once again, we have you covered like we have done all season, continue below for all the recaps and statistics. After a heart breaking loss for the Cavs after a Rose buzzer beater, the Cavs needed to win game 4 so even the series when going back home. Lebron scored 9 points to kick things off, they had a two points lead after one. Cleveland went on a 15-0 run after being down 8 early in the second, the Bulls wouldn't let the game get away from them but they did play bad in the period. Irving found his rhythm in this quarter as he scored 8. 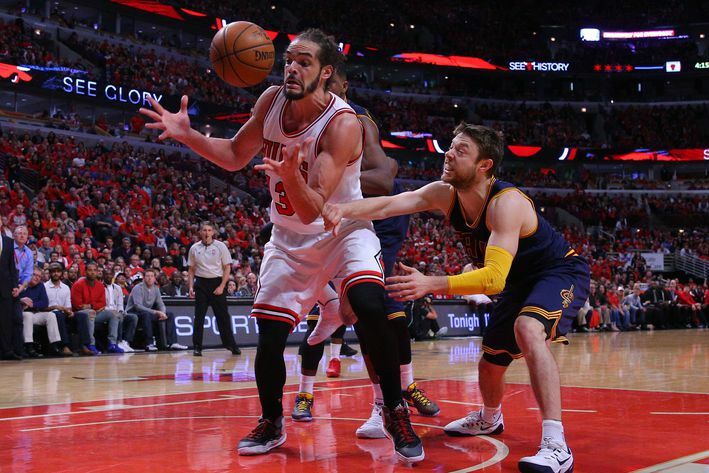 Chicago came out firing in the third as they went on a 10-2 run and had control of the game to start the second half. After a tie game, the Bulls went on another run which was an 11-0 run and the Bulls found themselves up 7 after three. The Cavs took the lead late in the game, they had momentum and were up 5 with 27 seconds left. Butler hit a three to make it a two point game. The Cavs had three timeouts left going into the inbound, they used them all and now had no timeouts. Lebron would get the inbound and was double teamed, he then threw his elbow into Dunleavy. IT'S GOOD! THE KING EVENS THE SERIES AT 2! It was a great shot and a phenomenal game, Lebron had a bad shooting game so did Kyrie, the Bulls lost this game themselves and I think they might have lost themselves the series. Notable Stats: James- 25 PTS, 14 REB, 8 AST. Rose- 31 PTS, 4 AST. Noah- 15 REB. After a devastating loss on Saturday, the Hawks needed this win and could get it when Wall wasn't playing. The Hawks were up early and their team all around were playing good, Horford led the way with 8 in the first. An 8-2 run helped the Hawks extend their lead to 8 and they would build on it to end the quarter up by 10. 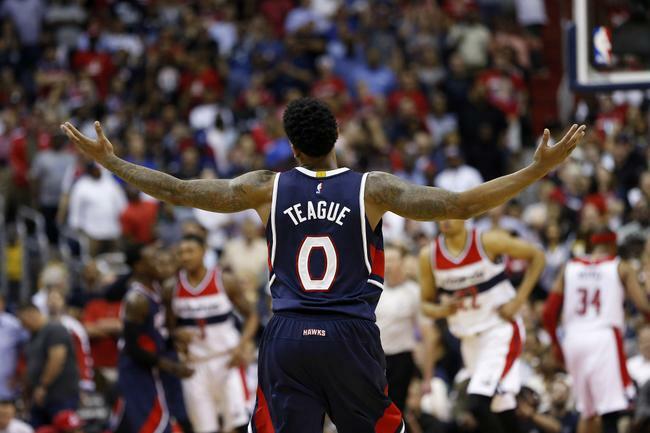 Teague played great in the second, he scored 6 and as creating opportunities for his teammates to score. To start the third, the Wizards went on a 9-0 run when Pierce and Beal led the way. A 9-2 run by the Hawks regained their momentum, they still were up by 10 after three. Horford and Teague combined for 10 as well. Washington when on a 9-2 run late in the game, they were down three with 36 seconds left and Schroder just missed and there was 6 seconds left for the Wizards. Pierce get the inbound, he finds himself open for three for the tie... It's no good and the Hawks rebound the ball and eventually win the game after two free throws. Pierce took a little bit longer than usual to shoot, but this time he couldn't get it done. Notable Stats: Teague- 26 PTS, 8 AST. Horford- 10 REB. Beal- 34 PTS, 7 AST. Gortat- 8 REB. After a dominate game from the whole clipper team, the rockets needed game 4 or they were going to be sent home early. Harden in company started off hot and scored 10 in the first and were leading by 3 after one. The Clips big men and some bench players played amazing in the second and that helped them take control of the game and the lead going into the locker room. A 21-4 run basically put the game away, the Clippers played fantastic in the third and it was over by the third. Jordan and Redick combined for 32 in this quarter and they were unstoppable. Nothing happened in the fourth really, it was over by then and the Rockets were really looking bad and I think most of it is on Kevin Mchale. He's not preparing his team right for this series and his game plan looks to get weaker by each game, he's gotta change something else. Notable Stats: Jordan- 26 PTS, 17 REB. Paul- 12 AST. Harden- 21 PTS, 8 REB, 6 AST. It was a must win for the Warriors, the MVP Steph Curry had a lot of pressure on his shoulders as he's expected to win this series. Golden State jumped out early to an 8 point lead and Green scored 11 in the first. The Warriors closed the quarter on a 5-0 run and were up 17 after two. Curry was terrific in the second, he scored 14 and was hitting every shot he attempted. He got his rhythm back. Memphis couldn't go on a run, the Warriors were striking back once Memphis tried combing back. There was not enough time for Memphis to come back and cut the lead to single digits, Golden State played well the whole game especially the first half. They closed the game out right and didn't mess up. It was a needed win that they HAD to get. Notable Stats: Curry- 33 PTS, 5 AST. Green- 10 REB. Gasol- 19 PTS, 10 REB. Conley- 7 AST. Full recap for NBA Playoffs: Round 2, Game 4.